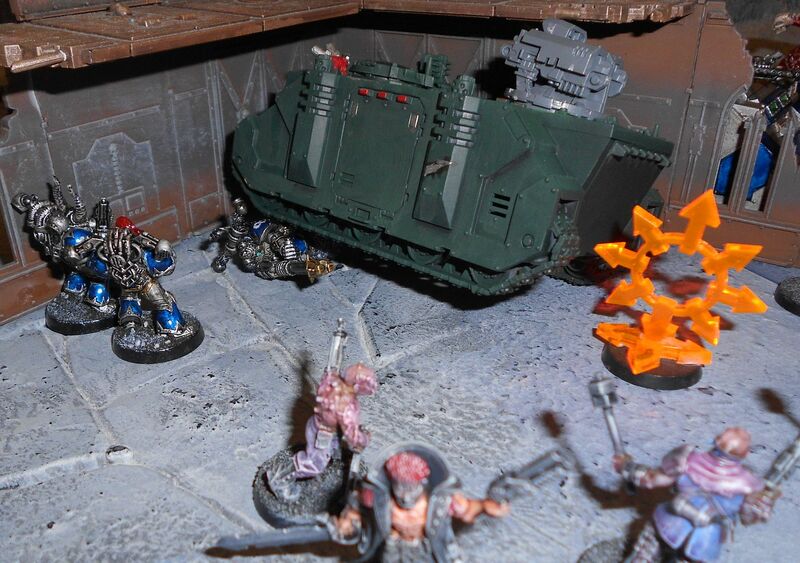 The campaign at the GW store had a bit of a reboot, as they had a much higher turnout than originally expected. Rather than cram everyone onto one giant map, they broke it up into different worlds/continents and scattered players across them. 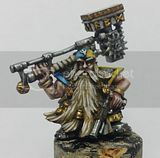 I'm on the fourth one down from the top, currently just me and a Dark Angels player, Patrick, though I expect we'll have some more company soon. 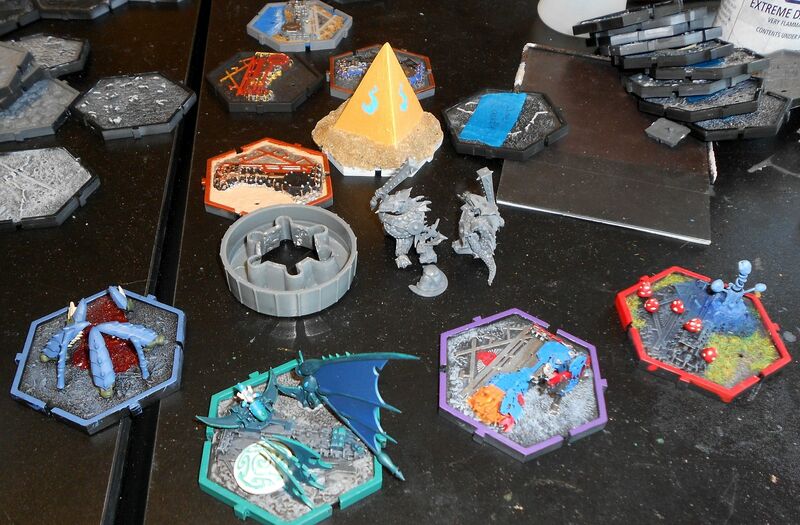 Here's some of the other HQ tiles people have created - big Thousand Sons pyramid, nid bio-pool, Dark Eldar, some orks and others. Neat stuff! 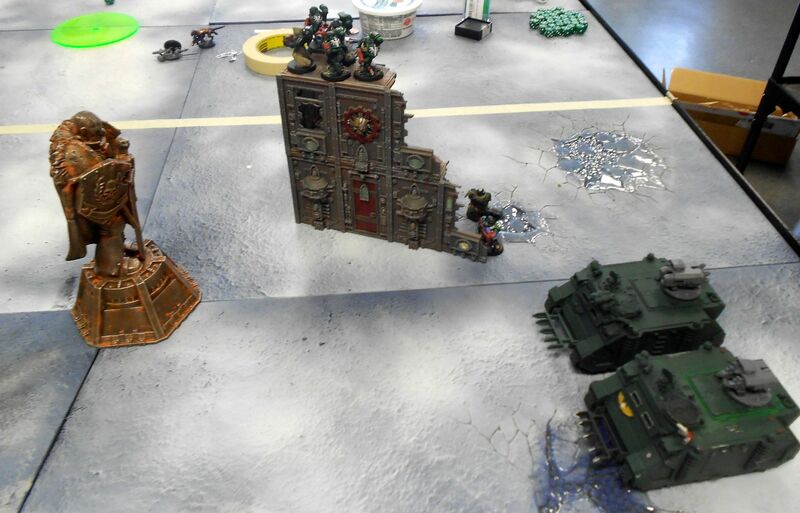 Patrick and I played a game, Emperor's Will, 500pts plus our Grand Warlords. 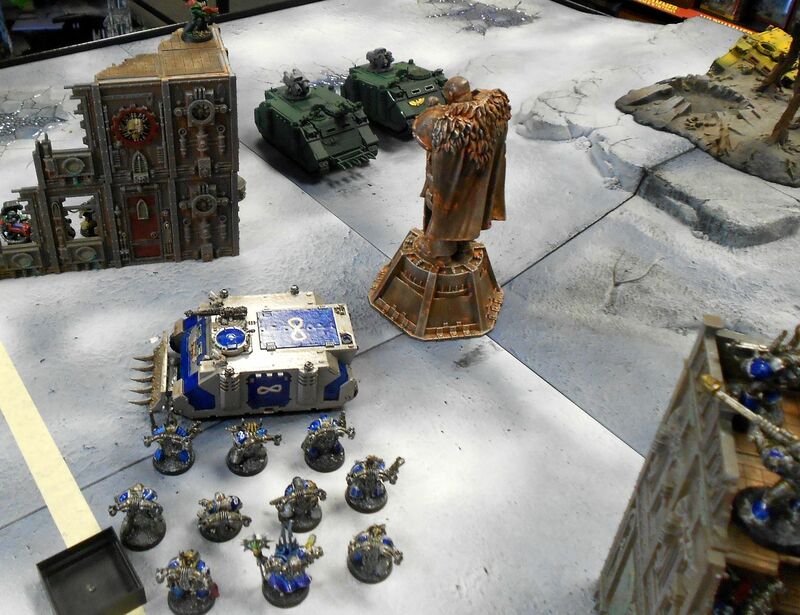 So I had sorcerer, two squads of Tzeentch marines, one with a rhino, and a squad of cultists. 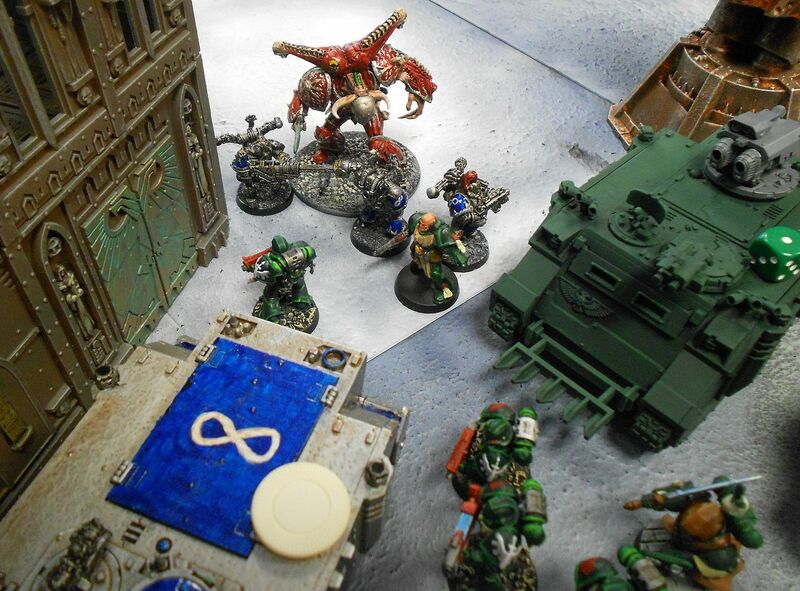 He had a tricked out captain with an anti-chaos mace and two squads of marines with heavy bolter razorbacks. I'm not going to go into a full blow-by-blow of the game, suffice it to say it was pretty brutal. Pretty much everything that could go my way did, pretty much everything that could go wrong for him did. 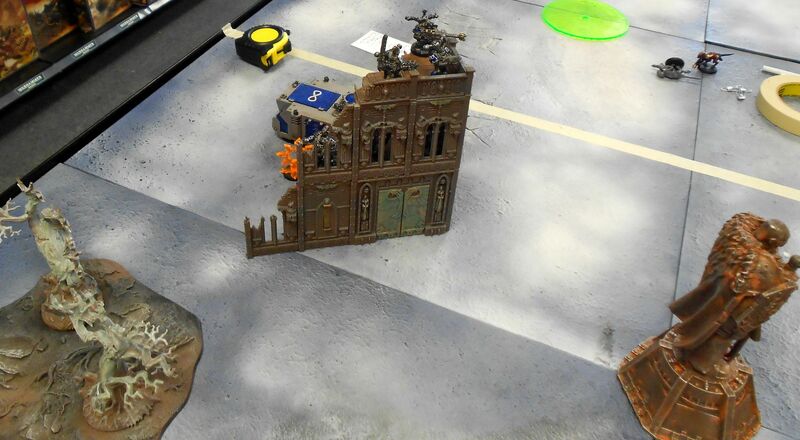 I got Invisibility on the sorcerer, made some great charge rolls, turned a champion into a daemon prince who then went around making all the invulnerable saves required. 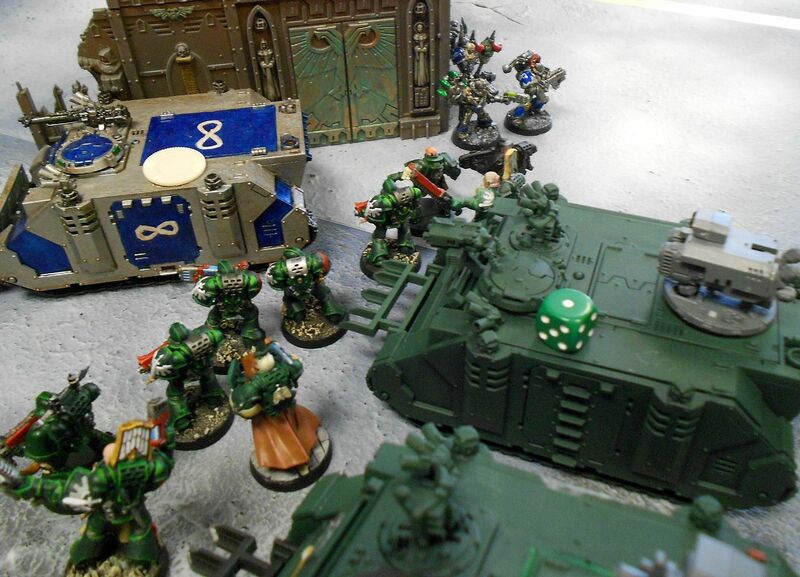 In response, his plasma cannons got hot a few times, keeping them from firing and clearing out chunks of marines. I ended up with his objective, we contested my objective, he had linebreaker with his last unit and I had all three secondaries, 6-1 Chaos. 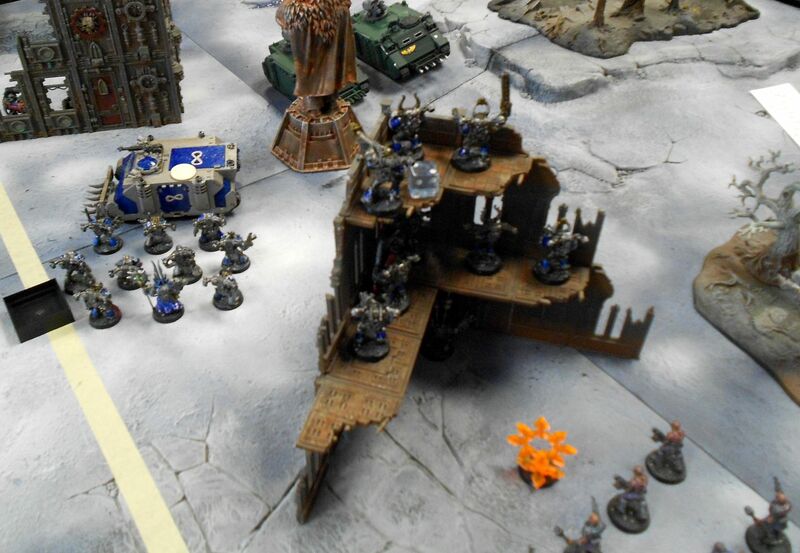 A good plasma cannon hit and a failed morale check or two could have seen a very different game. Nice job! How's the campaign gonna be? Can you send me a link or sth? 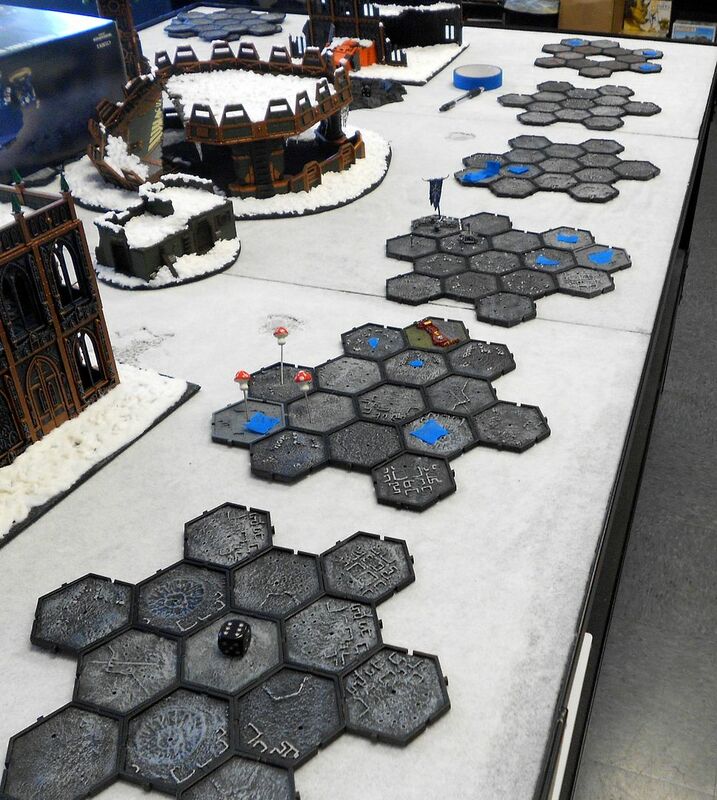 I want to start a campaign with my friends, and have already got the planetary empires tiles, but we dunno how to do it yet. Thanx!